How do you become a good digital citizen? 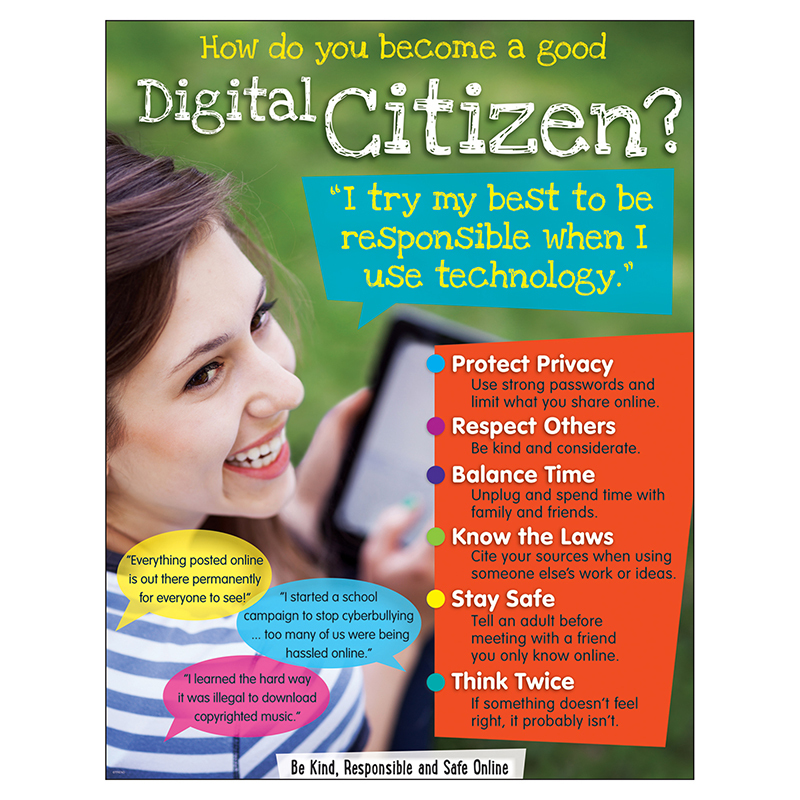 Preteens and teens learn the basics of good digital citizenship ... everything from protecting their privacy to finding a healthy balance offline and online. Durable & reusable. Extra Value: Reproducibles on chart back. 17" x 22".